Bank of Uganda's Emmanuel Tumusiime-Mutebile told MPs that he wasn't aware how the figure of Shs478 billion was arrived at. These days Bank of Uganda Governor Emmanuel Tumusiime Mutebile is up in the arms defending the controversial sale of Crane Bank to DFCU Bank even when there is an ongoing investigation into that transaction by the office of the Auditor General as ordered by the parliament of Uganda, the same institution which he had a misunderstanding with, some time back. That parliament ordered for an investigation into the transaction means that Mutebile and other top official at BoU might have used the same powers bestowed on them to mismanage the whole transaction process. That could be the reason why BoU did not produce any report regarding the transaction as it has been with the liquidation and sale of a few more banks earlier. That BoU’s Deputy Governor Dr. Luis Kasekende recently tried by all means to block AG’s investigators from launching an investigation into the sale liquidation and sale of commercial banks like National Bank of Commerce, Crane Bank and others, means the transactions were questionable as regards certain issues that investigators are likely to bring out. 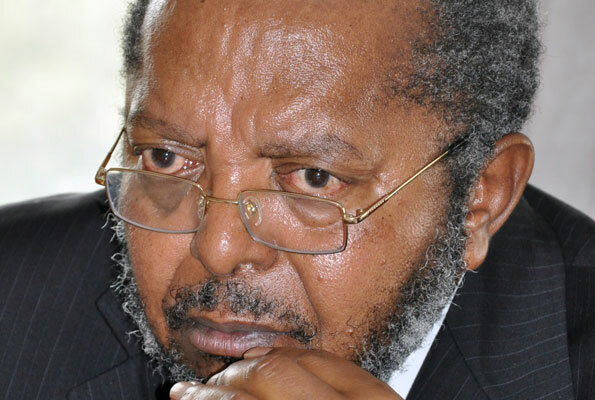 Mutebile forgets that the public would want to know whether BoU really recapitalized Crane Bank with Shs200 billion as it claims before selling it to DFCU at the same amount. The taxpayers seem to have made a loss here, worsened by the fact that DFCU Bank never paid that money immediately. Mutebile and DFCU Bank executives should be honest enough to disclose to the public the sales agreement as regards the sale of Crane Bank. If they don’t do that, then there is something they are hiding. There is also speculation as to why Mutebile sacked the former director of supervision at BoU, Ms Justine Bagyenda. The speculations exist because Mutebile did not give clear reasons to the public as regards the sacking of MS Bagyenda much as he said it was to do with internal reorganization of the human resource at the Bank to enhance efficiency and effeteness. We all knew at the time that Bagyenda was supposed last month but Mutebile sacked her in February. “In order to advance the mission of the Bank of Uganda (BoU), and to enhance operational efficiency and effectiveness, the Governor BoU Emmanuel Tumusiime – Mutebile has today, Wednesday February 7, 2018, effected staff appointments and transfers at various levels of management,” said at the time in a statement. We all remember that Bagyenda would later drag Mutebile to the Inspector General of Government (IGG) Irene Mulyagonja for wrongful dismissal, leading to a public spat between Mutebile and Mulyagonja. Question arises as to why Dr. Tumubweine Twinemanzi was reappointed in the place of Bagyenda yet other top directors at the Bank just had to change departments. Speculation is that Bagyenda’s sacking had to do with the liquidation and sale of Crane Bank and other banks but this, the governor has failed to disclose. Could Bagyenda have failed to do her supervisory role? Upon the acquisition of Crane Bank in January 2017, DFCU Bank would in mid-August announce net profit of Shs114 billion for the first half of that year up from Shs 23 billion in the same period in the previous year. One of the reasons for that huge jump was the acquisition of Crane Bank assets. DFCU would end of December 30 2017, post net profit of Shs127 billion. The company’s balance sheet jumped from Shs1.8 trillion in December 2016 to Shs3.05 trillion as at June 30, 2017. Its customer numbers grew by 50 per cent in the period under review and its branch network grew from 43 to 67 with 100ATMs. There no doubt that the controversial Crane Bank acquisition played a big role in the above figures yet Mutebile in his speeches does not allude that fact. Is he hiding something given also that at the time of the sale Crane Bank had assets to the tune of just over One trillion Shillings? “A campaign of ‘fake reports’ about the financial strength of DFCU Bank have failed,” Mutebile said Friday during the Uganda Bankers ‘Association informal dinner at Golden Tulip Hotel, Nakasero. He added: “Regrettably, DFCU Bank has recently been subjected to a series of false allegations in the social media and online publications, concerning changes in it.” But one wonders how a failing bank (Crane Bank) would turn around the fortunes of its buyer DFCU Bank within such a short time. There are no allegations that CDC Group wants to sell its shares in DFCU Bank and leave. There is a letter to that effect. But then one wonders why after making huge profits, a major shareholder wants to leave. BoU should be enticing such investors to stay given that finding new ones is not a walkover. However, reports that there are disagreements between the major investors cannot just be washed away. After all insiders and those close to the institutions are the one who disclose such information. On the whole however, the on investigation is all that the public is waiting for and Mutebile and other officials at BOU should know that there is no smoke without fire.